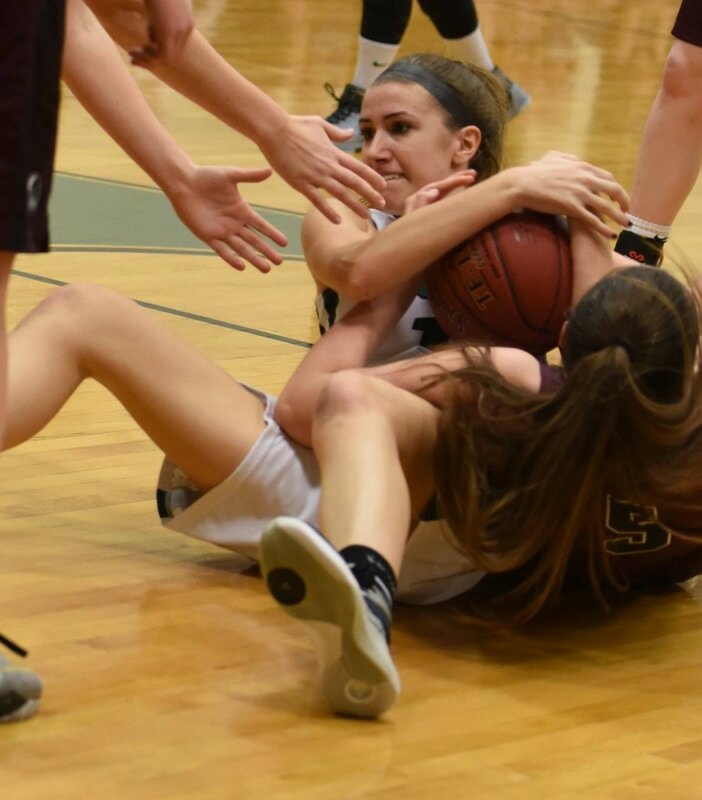 Early in the girls basketball season, the team was “having a little rough spot,” according to assistant coach Tanna Ross. So they all sat down before practice one day to talk. Senior co-captain Natalie Bushey was the only one to speak up, according to Coach Ross. She recalls that Natalie spoke frankly and confidently about what she thought the problems were. Natalie Bushey has accomplished a lot in her four years at BEHS, and not just in athletics. According to those who know her best, the 17-year-old senior also excels at schoolwork and is an active volunteer in the community. This winter she was honored with a Varsity Maine award from local TV station WCSH6. The awards go to athletes who excel both on and off the playing field or court. Born in Delaware, where she lived for only a year, Natalie and her family moved to Standish and has lived there ever since. Natalie participated in many different clubs and sports in middle school. She tried track, cross country, and swimming when she was in middle school, but they all kind of interfered with one another in high school, so she had to narrow it down to her top three. For the four years of high school, she has played field hockey, basketball, and lacrosse. Natalie says her family pushed her to be the person she is. She has been able to be so active because her coaches and mentors have really helped her with balancing sports, school, and volunteering. Natalie is one of the lucky ones, who has never gotten injured while playing any of these sports. According to her two varsity basketball coaches, Natalie has grown as a leader over her four years of high school. In that midseason meeting, Natalie was quick to defend her teammates and spoke with confidence and passion. Coach Scott Regan says that Natalie is one of those athletes and students that you would want your own daughter to be like because of her personality and her work ethic. As for academics, Natalie likes some subjects such as math and science best, but she still works hard at all of them. This year she is in AP Chemistry, AP Biology, and some other honors classes. Last year she took AP English and AP Calculus. She won an honorable mention in the Maine Scholastic Writing contest for a short story she wrote in AP English last year. Natalie has done a lot of her volunteering through the National Honor Society. She’s also volunteered for The Susan G. Komen Cancer races, and the Try For a Cure, which raises money for the Maine Cancer Foundation. Natalie has volunteered with the Special Olympics held here every year since 8th grade. She says she got hooked on helping out the year she timed the races and saw the young runners’ reactions when they finished. Natalie doesn’t consider volunteering a job because it’s just something she feels she should do. Natalie says she is too busy with sports and schoolwork to have a job during the school year, but she is planning either to go back to Hannafords this summer or try to get a waitressing job. Looking ahead to next year, Natalie has applied to 10 colleges, one in Maine, two in North Carolina, two in Virginia, one in Alabama, and one in Mississippi. She hasn’t made a decision yet as to which one to attend. She isn’t quite set on what she wants to be, but she wants to study Civil Engineering. 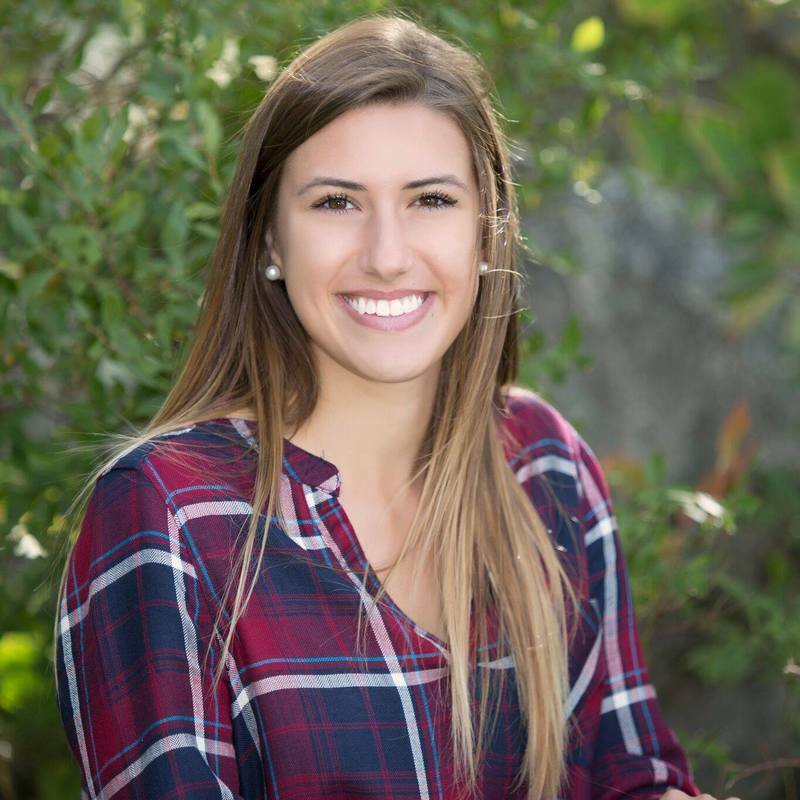 As her senior year winds down, Natalie says she would want to be remembered as an active member of the community. She has learned a lot from school, work, and sports. For example, volunteering has changed what she calls her “sometimes, negative attitude.” She says her attitude has become positive because all the athletes she helps are so positive and happy. School also has taught her many lessons, like always having to work hard to get what you want. It has also taught her how to balance everything, and it's prepared her to have an actual career and take harder college classes later on.